Guardian Roof Tiles – The complete guide! When buying a conservatory not everyone is aware of the side effects that come with glass and polycarbonate roofs – these types of roofs have extremely poor heat retention and regulation properties. This leads to conservatories being too hot and unusable during the summer months and similarly too cold during the winter months. In the colder months, traditional conservatory roofs easily lose their heat and can result in a rise in your heating bills during winter months. The Guardian Warm Roof is a lightweight tiled alternative that is able to fix the common problems that occur with traditionally styled conservatory roofs. One thing that we often get asked here at Guardian Roofs UK is ‘what are the various Guardian Roof Tiles that we offer?’ – The Guardian Warm Roof is not only one of the most efficient conservatory roofs but also one of the most stylish replacement conservatory roofs! This post is here to talk you through the different Guardian Roof Tiles and roofing options that are available on the market today. If you have any questions about the Guardian Roof Tiles we offer then please get in touch with a member of our expertly trained team today and we will be happy to help answer any questions that you may have. What are the different types of Guardian Roof Tiles? In the world of conservatory roofs, it is refreshing to have full customizability of your conservatory, prior to the Guardian Warm Roof most people really had to choose from either glass or polycarbonate with some other alternatives dotted around. We have listened to our customers and have tackled the main problems with conservatories and now move on to the styling of the conservatories. There are two main types of Guardian Roof Tiles we use to finish off our Guardian Warm Roofs, below is a brief overview of both of these. 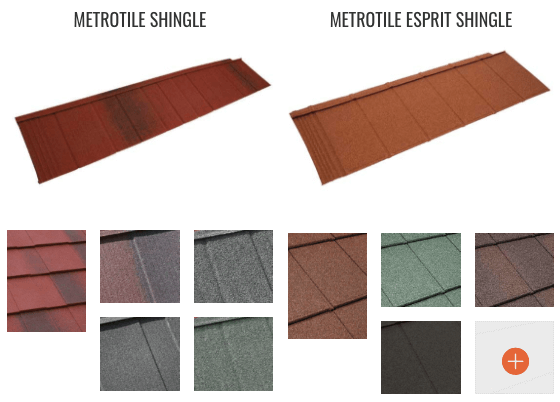 Metrotile Roof Tiles – In addition to the Guardian Roof Slate, we offer an alternative to clients and customers which is known as the Metrotile Conservatory Roof Tile. These tiles are made from an extremely lightweight and very high-grade steel utilising Aluzinc. The tiles themselves come in a variety of different finishes and come complete with a 40-year Guarantee! These Guardian Roof TIles improve both the look and longevity of your roof giving your peace of mind in the roofing system for your conservatory. If you have any questions about either of these Guardian Roof Tiles then please get in touch with a member of our team today and we will be happy to help answer any that you may have. Why should you use Guardian Roof Tiles? The guardian warm roof not only improves the efficiency and quality of your conservatory but also has the ability to drastically improve both the exterior and interior aesthetical appearance. Choosing the Guardian Warm Roof allows you to fully customise your new roof and ensure that it fits in with the current appearance of your home and the roof that you have. In addition to this, the tiles also have extremely good weatherproof properties to ensure that they can stand the test of time. If you would like to see some of our most recent conservatory installations then please head on over to the link provided to check out the most recent designs.